INVITATION and INFORMATION about multi-series of events starting tomorrow May 1st and the main event of the 150 years celebration in honoring of Rabindranath Tagore is Sunday May 8th. 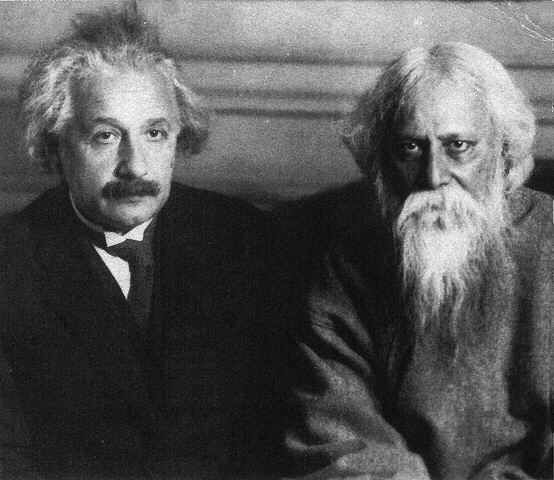 It is not only his 150th, but also 100th and 70th of Tagore this year – all important dates. If in Berlin com Sunday May 1st and 8th to the Humboldt University in Berlin INVITATION, or later in August as a late eulogy of his 70th of his death. INVITATION and INFORMATION about multi-series of events starting tomorrow with the 150 years celebration in honoring of Rabindranath Tagore. I know I need to bring Humboldt - Alexander and Wilhelm !! - and Carl Ritter and some other names into the picture as well, so maybe check below - or see some dear names for me here: http://www.quergeist.net or or some more content in this Blog: www.quergeist.info, or come back later..... and naturally many others - so Tagore knew he is and was not alone !